Now you can save $100 on Tokina FiRIN 20mm f/2 FE MF Lens for Sony E-mount at Amazon, B&H, Adorama for $699.95. The regular price is $799.95. 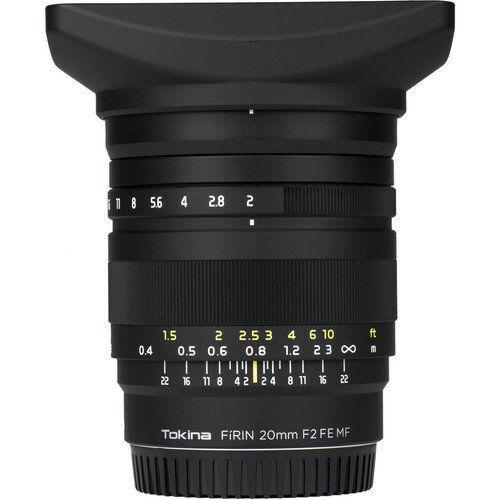 This Tokina FiRIN 20mm f/2 FE MF Lens is an excellent wide-angle prime well-suited to multimedia applications. Order now of you are interested. $100 off on Tokina FiRIN 20mm f/2 FE MF Lens for Sony E: $699.95 at Amazon, B&H, Adorama. Sony FE 24-105mm f/4 G OSS Lens: $1,298 at Amazon, B&H, Adorama. Read more: Sony Black Friday Deals.